Review written by and copyright: James-Masaki Ryan (15th July 2018). 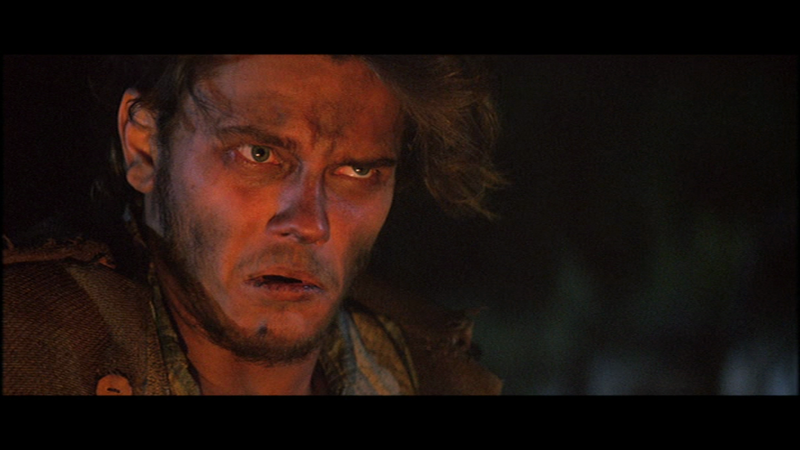 Talbot Roe (played by River Phoenix), despite the pleas of his father Prescott (played by Richard Harris), insists on guarding in a traditional burial tree, the body of his wife Awbonnie (played by Sheila Tousey) who has died in childbirth. 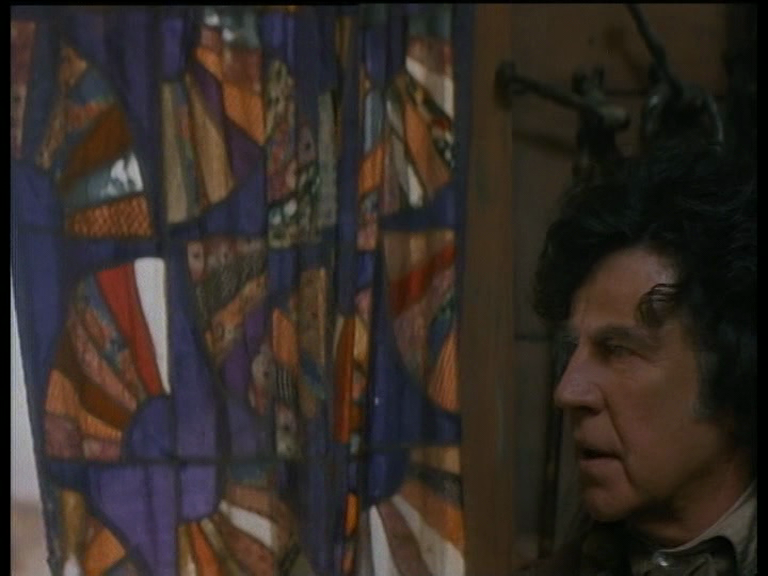 Afraid his son will lose his mind, Prescott goes in search of Eamon MacCre (played by Alan Bates), the showman who had traded his half-Indian daughter for horses. He intends to buy Eamon's second daughter Velada (played by Jerri Arrendondo) in the belief that only she can save Talbot from his terrible grief. When Eamon's son Reeves (played by Dermot Mulroney) objects, Prescott kidnaps the girl leading to a manhunt in the wild. 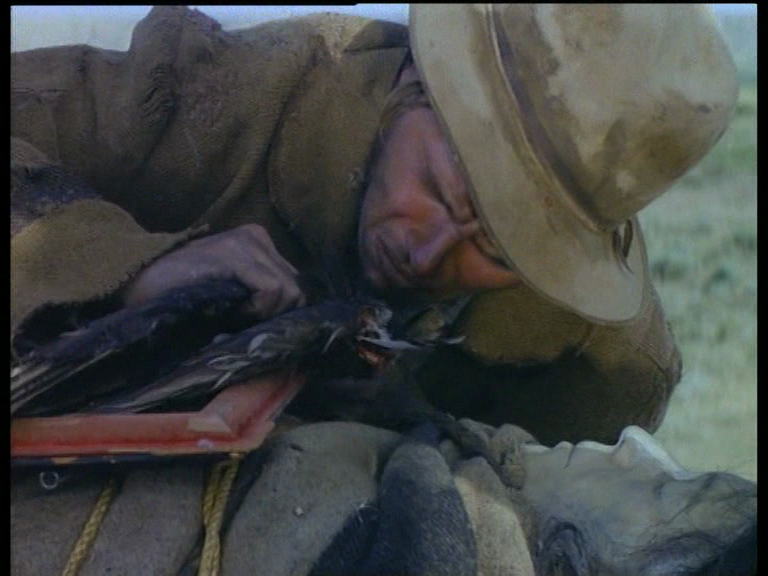 Writer and actor Sam Shepard's second feature film as a director is in the fitting western genre filled with the supernatural, the clash between white and American Indian cultures, traumatized families, and vengeance. Unfortunately the film suffers as being unmemorable. Nothing particularly new is introduced in the slow burning film, the core of the strained relationships being redeemed does not come about as satisfying, and the overall tone feels disjointed. The whole film is no misfire though. 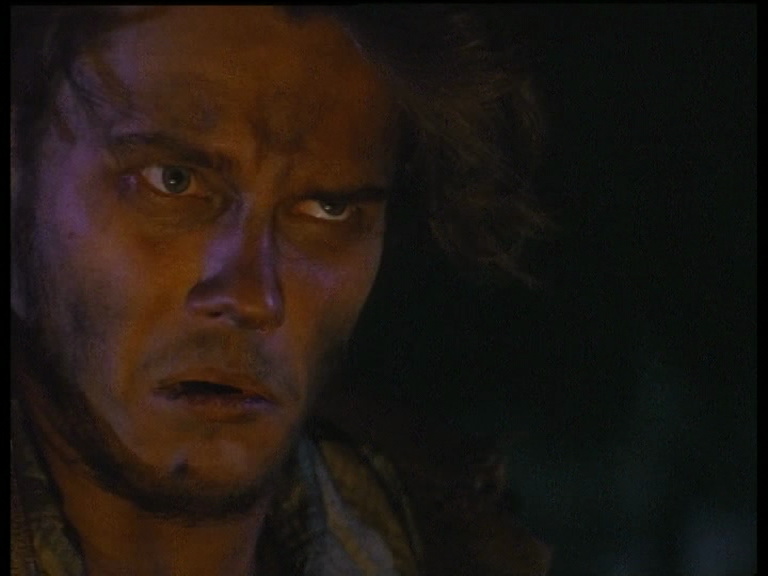 River Phoenix's performance as the grieving widower is intense and feels almost like he is in a completely separate film from the rest of the cast. The few exchanges seen between Alan Bates and Richard Harris are also great with each having an unhappy backstory to compliment each other. The film first opened at the Sundance Film Festival on January 28, 1993 and picked up by Trimark pictures for a US theatrical release which opened on February 25th, 1994, which was a few months after the death of costar River Phoenix on October 31st 1993. Grossing a mere $61,000 in its US theatrical run, it was far from being a hit. 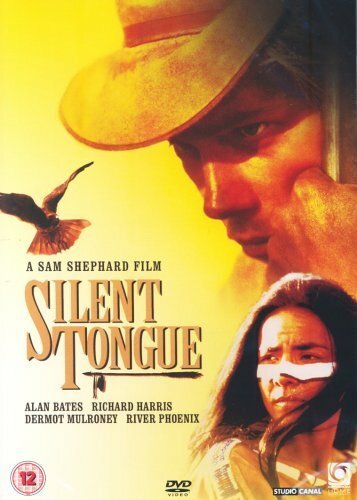 "Silent Tongue" never received a wide release anywhere and has mostly been a footnote in the cast and crew's filmographies, and never gained any sort of cult status. An interesting discovery that seemed unnoticed for a long time was that two separate cuts of the film exists - the "International Version" which runs 106 minutes (or 101 minutes for the PAL version with 4% speedup) and the "US/UK Version" which runs 101 minutes (or 97 minutes for the PAL version with 4% speedup). - Some shots of Prescott Roe arriving at the carnival. - A few minutes of carnival stage performances. - Velada’s riding performance is shortened. 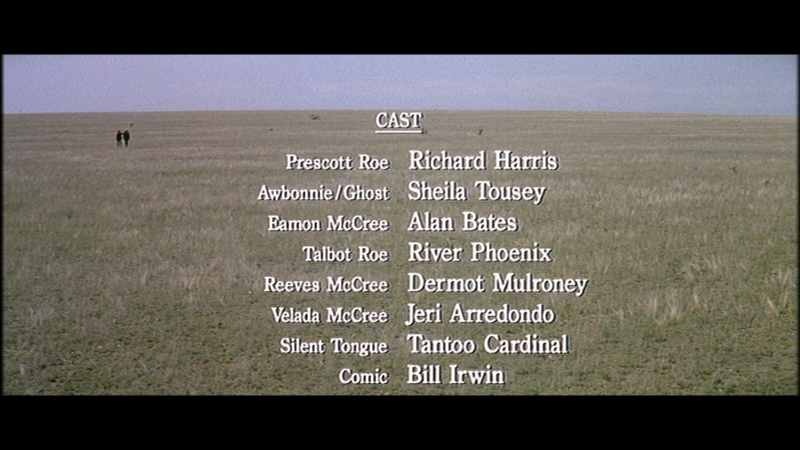 - Eamon McCree’s introduction and portions of his storytelling are shortened. - Some shots of Velada being kidnapped. - The lingering shot of the body in the flames is shortened. In addition there are a few seconds here and there removed for a total of about five minutes. While nothing is particularly earth shattering or plot changing, it is a strange decision for these elements to be removed for the US and the UK. 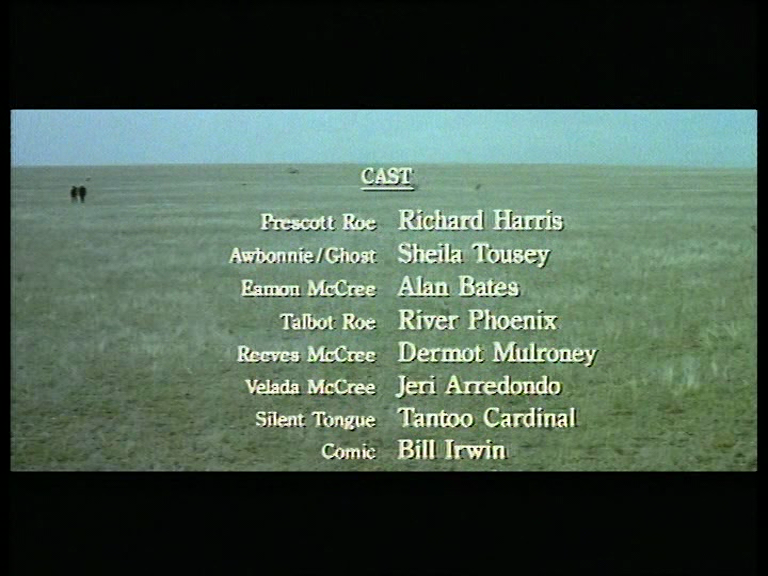 Umbrella Entertainment's DVD release in Australia under the "Six Shooter Classics" line is a direct reissue of the Australian Roadshow DVD from a few years before with the same menu and same options. This is the "International Version" with the full length cut. Optimum Releasing's DVD in the UK is the shorter "US/UK" cut with the above mentioned portions missing. While it seems easy to choose the longer cut compared to the shorter cut, the transfers are what makes the difference here. 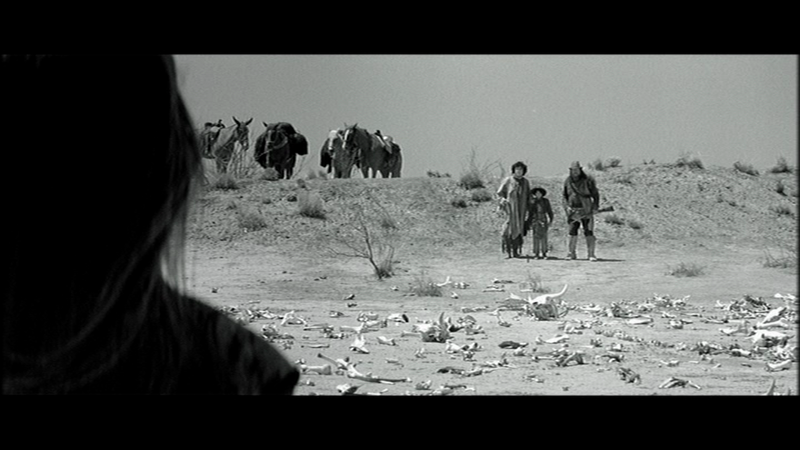 Umbrella Entertainment presents the film in a cropped non-anamorphic 1.33:1 aspect ratio in the PAL format. There are slim black borders on each side of the 1.33:1 frame so in actuality it is slightly narrower to about 1.30:1. The transfer is a very dated and disappointing video master, with colors being washed out, video noise all over, and the framing chopping off nearly half the image from the original 2.35:1 theatrical aspect ratio. It certainly makes it feel like a dated early 90s television production rather than a Cinemascope shot theatrical production. 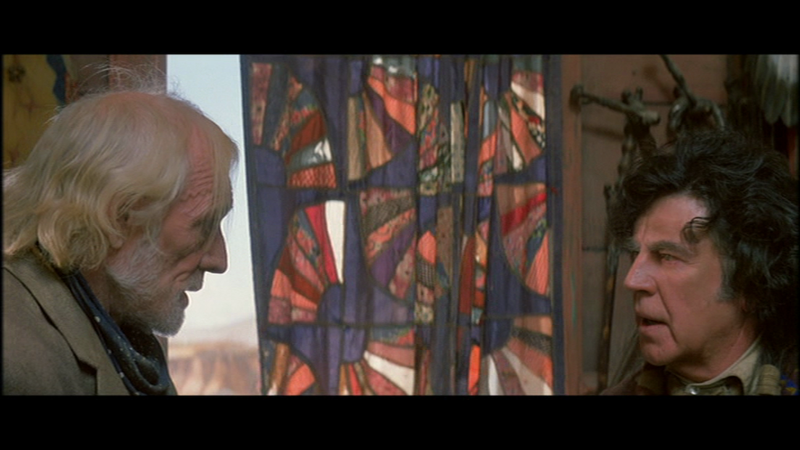 Note the only time the film retains the original 2.35:1 aspect ratio is at the end credits as the picture zooms back to reveal the full image in non-anamorphic 2.35:1. 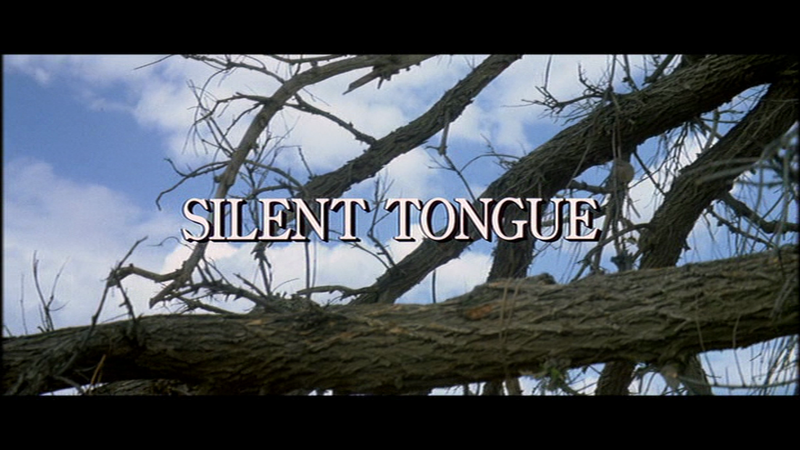 Optimum presents the film in the original theatrical 2.35:1 aspect ratio with anamorphic enhancement in the PAL format. Colors here look much better with vibrance, light and shadows are better defined, and of course framing that shows the full image as intended. In comparison to the Umbrella Entertainment picture - which is in fact a port of the previously released Roadshow DVD - they look like two different films altogether. It is still not perfect though, as it is a decade old DVD and the transfer is a bit soft at times. And speaking of two different films, there are two different cuts of the film. The Umbrella Entertainment has the full length international version. The Optimum has the US/UK version which is missing about 5 minutes of footage. The Umbrella is longer but the image is cropped. The Optimum has the original aspect ratio but the film is cut. The runtime on the Umbrella Entertainment release is 102:00. The runtime on the Optimum release is shorter at 96:55. 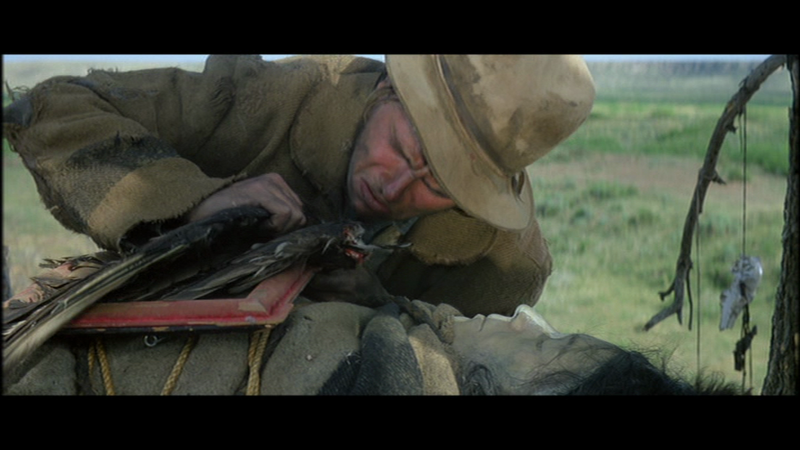 Below are screenshots of the film, with the Umbrella Enterainment first followed by the Optimum second. Both the Umbrella Entertainment and Optimum releases offer the original stereo track in Dolby Digital. The differences here are not as drastic as the picture, but it is evident that the Umbrella Entertainment release sounds flatter than the Optimum. Gunshots and other effects plus the music are less impacting and lacks depth. On the plus side, both soundtracks have no damage or audio issues to speak of such as hiss or dropouts. The Umbrella Entertainment release has optional English HoH subtitles in a yellow font while the Optimum has none. The Umbrella Entertainment release has no extras on the disc. 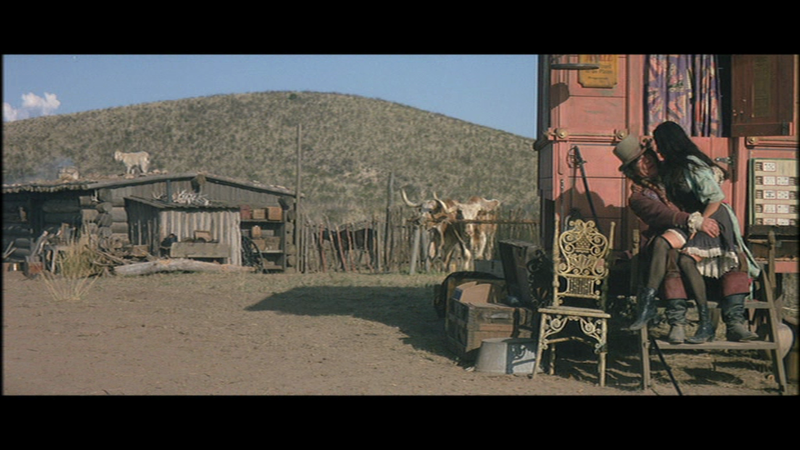 The original US Trimark Pictures trailer is presented in a cropped 1.85:1 aspect ratio. It's a very effective trailer with no annoying narration and leaving it with some crucial dialogue points and pounding music, being more memorable that the film itself unfortunately. The Umbrella Entertainment package states "region 4" only, but it is a region 0 release. The Optimum package makes no mention of the theatrical trailer. 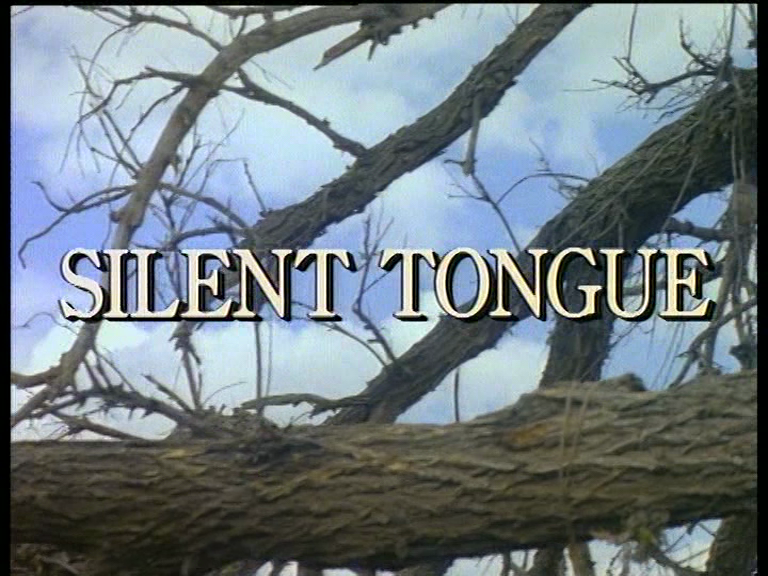 "Silent Tongue" is not particularly the most memorable or most original western or a lost classic by any means, but it does have some good performances to boast. 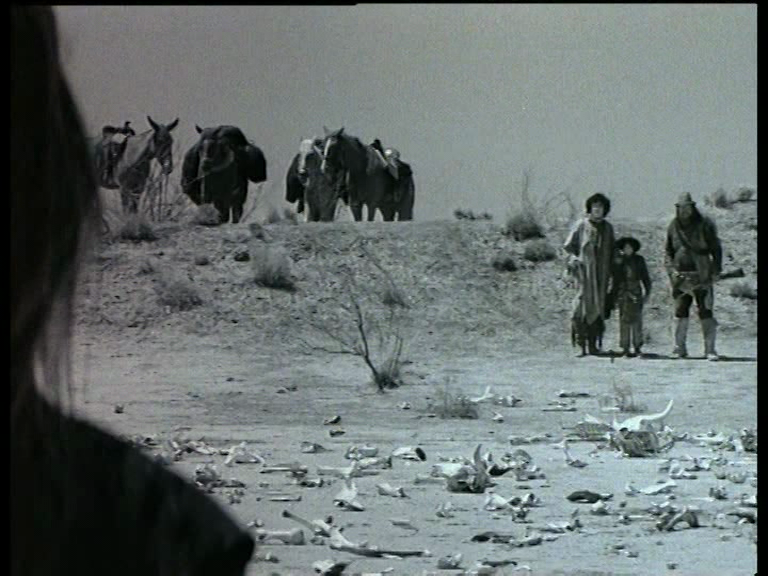 The Umbrella Entertainment release uses a cropped dated master of the uncut version while the Optimum release has an anamorphic widescreen picture of the cut version. Now there is a German release from Studio Canal that is widescreen and uncut, and that may be the best choice until a version with extras or a Blu-ray were to be released in the future. Note the below scores are for the Optimum release.